A Christmas Story is about Clifford Prideaux (1902-1963). The story begins in a modest home in early Edwardian Leeds, where the Prideaux family await a surprise event on Christmas Day 1902. 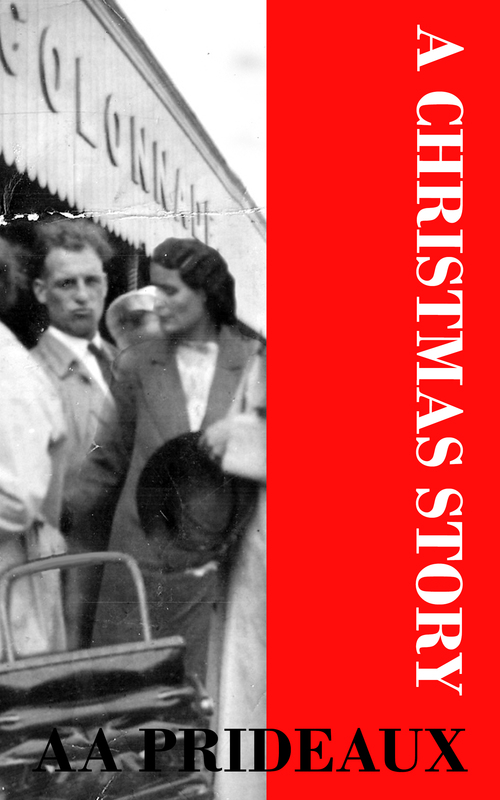 The story takes the reader from 1902 to 1993 in a short story and gives a flavour of what Christmas meant to Clifford and his family. A Christmas Story gives a flavour of the times prior to the Great War for those with no money and no property. What the family had, was love for each other and that love cannot be exaggerated. A A Prideaux has written about each of her Prideaux ancestors from 1040 to the present day. She has traced every one of them through research and discovered where and how they lived. A A Prideaux has travelled miles in this search. She has old books, family documents and stories which have helped her in the conclusions drawn. Clifford Prideaux and her mother were responsible for setting the fire in her soul that turned into a Prideaux obsession. A Christmas Story is one of her fictionalised tales which draw on known facts. In this case, the story is written with personal experience of the author. This Clifford Prideaux (1902-1963) story takes us to Leeds and a tiny stone cottage full of love and warmth. These stories bring the Prideauxs to life, giving them personalities and allowing the reader to know them as people, not just names. A Christmas Story is about my grandma and grandad. Christmas was always a special time for Grandad Clifford. It’s magic ran through his veins from the first day. Clifford was a kind man, but also a mystical one. Even after his death, he has visited his family on many occasions. I think of him as a hermit character, cloaked and walking with a long staff. He appeared in his role of Clifford for only 60 years before he returned to being the hermit.